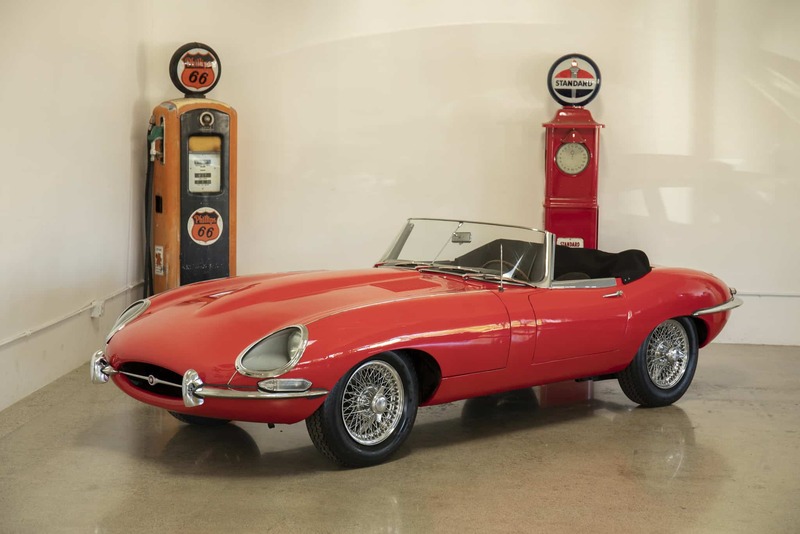 1961 Jaguar E-type 3.8 Roadster: Original “flat-floor” model with original factory floors; original factory welded-louver bonnet; original numbers-matching engine. Repainted decades ago to red, original color is Opalescent Gunmetal (see original paint inside doors with door panels removed). Stored inside a dry garage many decades and not driven: Original engine runs on all cylinders; all mechanical systems need to be checked prior to driving. Excellent patina driver, or superb candidate for restoration. We go to extents to document our cars in pictures and provide the most transparent listings on Ebay. Please study the pictures carefully rather than requesting descriptions. Please complete any inspections or ask any questions prior to bidding or committing to buy the car. Thanks for the interest!